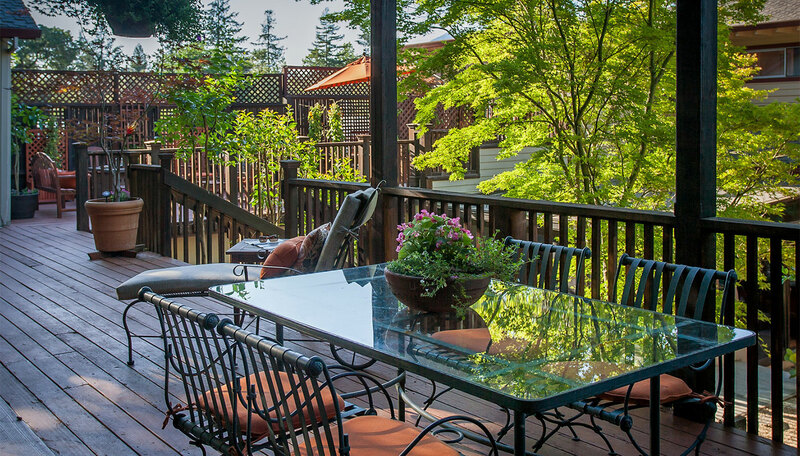 When you step into Lovina Calistoga on highstreet, you immediately feel like you’re walking into someone’s home. Both the atmosphere and the food are warm and inviting. 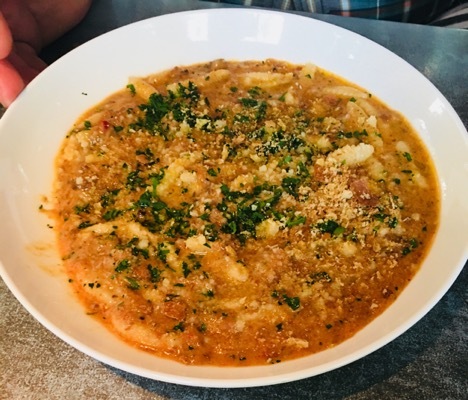 The rustic plating and tableware added to the genuine home-style experience of Lovina, making it one of the best restaurants in Napa Valley in our opinion. 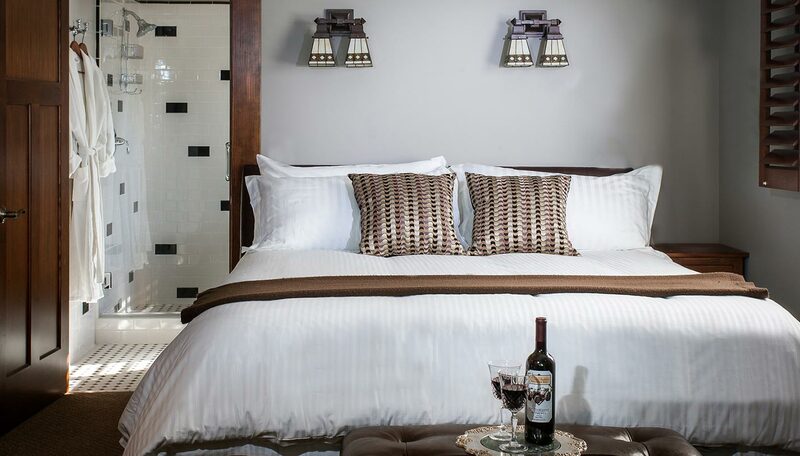 Lovina is a five minute walk from the Craftsman Inn and Calistoga Wine Way Inn, so after your delicious dinner rest your head at Lodging in Napa Valley for a relaxing night’s sleep. 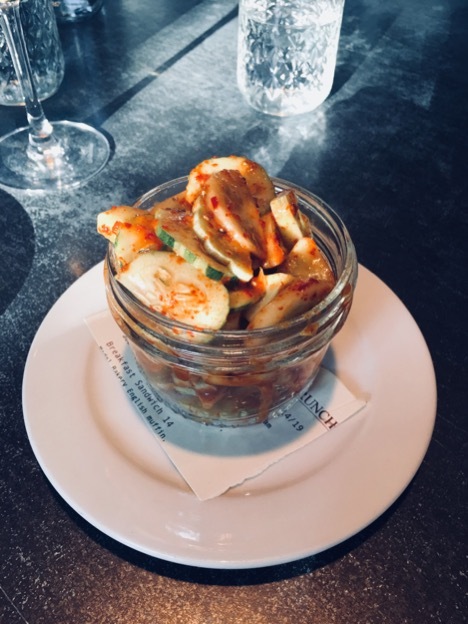 The snacks and appetizers were in just the right sizes to share between a small group of friends or family at this Calistoga dining establishment. 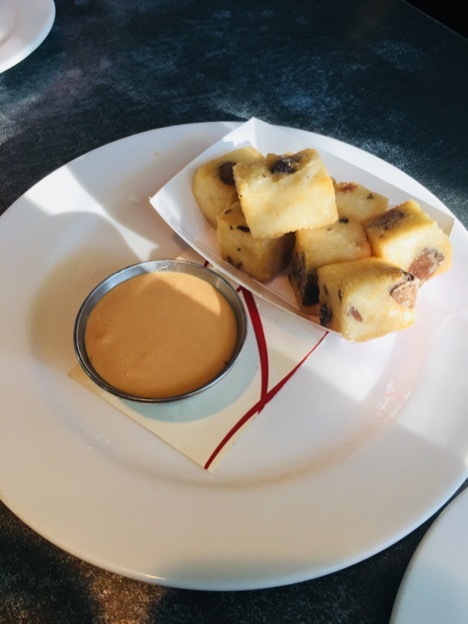 The fried maitake polenta bites were light and fluffy with a pleasant mushroom flavor throughout. 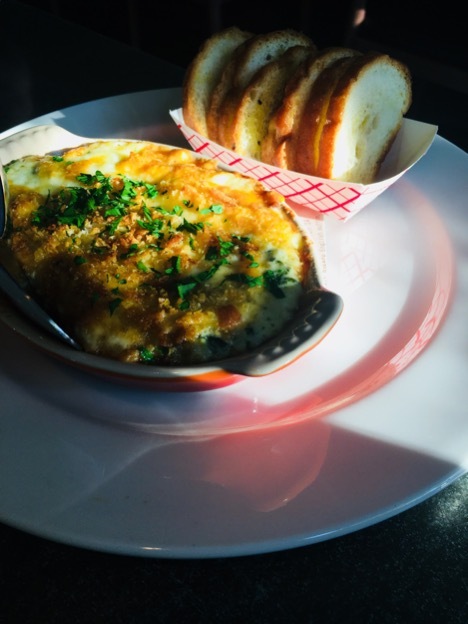 The five cheese spinach and leek dip was served with sturdy, crunchy crostini. This creamy, cheesy, fondue style spinach dip was warm with a hint of leek and Calabrian chili. 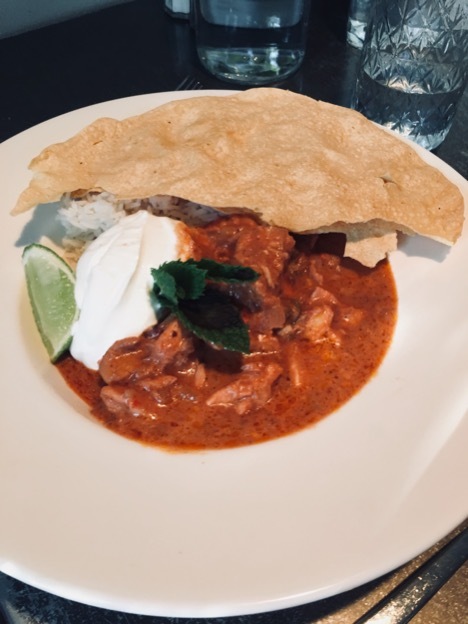 The curry creation by Chef Jenna can be described best as a homemade, English style tikka masala. 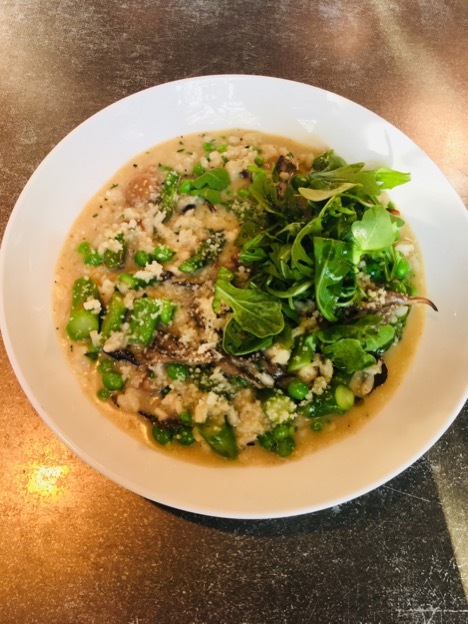 The silky smooth and creamy roasted maitake mushroom risotto has delightful notes of truffle throughout with tender asparagus and fresh, vibrant green peas. The entire meal and experience makes one feel like they’re at a good friend’s house eating genuine comfort food. 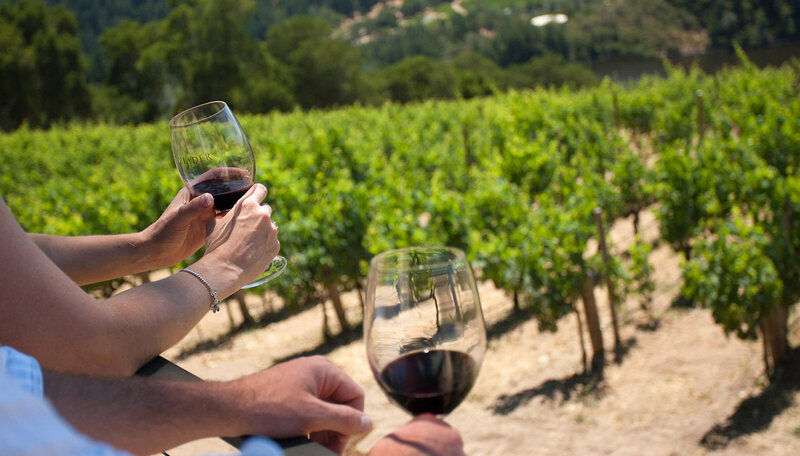 Join us at our Calistoga bed and breakfast for an unforgettable getaway to the Napa Valley Wine Country area.